SPARK has completed Arte S a residential development located at Jalan Bukit Gambier near the city of George Town in Penang, Malaysia. 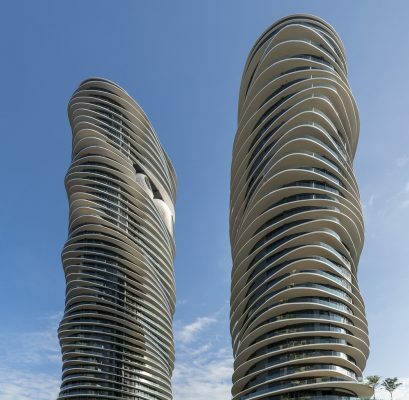 The project consists of a pair of condominium towers containing 460 apartments. Gateway One Shekou, Shenzhen, P.R.C. SPARK has completed the design of Gateway One a 71,600-square-metre mixed-use development and transportation hub for China Merchants. The Bass and Flinders Gateway development is located in Wollongong, New South Wales, Australia and comprises 35,000 sqm of predominantly residential units supported by a modicum of commercial space. The site sits at the threshold of Wollongong and the greater Illawarra region and is bounded by Princes Highway, Campbell and Keira streets. SPARK’s playful Clubhouse in Chongqing has opened to the public. The Clubhouse is the first part of a series of leisure facilities SPARK designed for a large villa community in the outskirts of Chongqing. Apart from the 5,500 sqm clubhouse SPARK’s masterplan proposal includes a 12,000 sqm hotel and a 13,000 sqm outdoor retail street which will be completed early 2013. Located at the heart of East Guangzhou’s Science Town district Spark’s project comprises a retail street and a SOHO residential development. A contemporary interpretation of the Xintiandi (Heaven on Earth) urban village a car-free shopping, eating and residential district is composed of 2 storey shop lots that face the highway and a central alley and public square. Starhill Gallery is perhaps Kuala Lumpur’s most iconic shopping mall, featuring an extraordinary array of luxury shops and fine dining restaurants. Spark’s design proposal dealt with the reinvention of the existing façade of Starhill Gallery facing Bukit Bintang. This reinvention of Starhill Gallery is designed by Stephen Pimbley, founding director of Spark and the architect behind Singapore’s hugely popular Clarke Quay. The green centrepiece of 1 Mont’ Kiara is undoubtedly its atrium, which nestles under a triangulated transparent canopy constructed using ethylene tetrafluoroethylene or ETFE. The ETFE roofing enables natural light to stream through, illuminating the piazza-like space and minimising the dependence on electrical means of illumination. Designed by international architecture firm Spark, in collaboration with local architects and engineers Sunlight and engineering consultants Arup, has been shortlisted in the Best Chinese project Category of 2009 MIPIM Asia Awards. The mixed-use development is the first completed project by architects Spark in China’s capital. 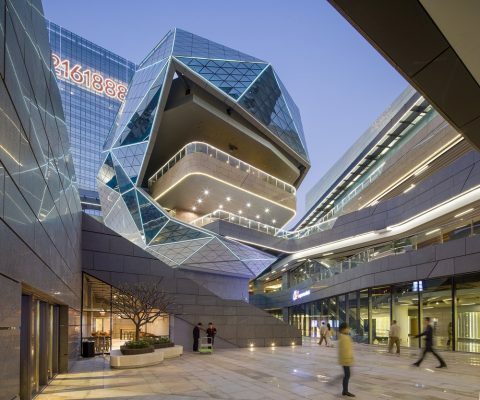 Since its recent opening, the development has been attracting crowds and acclaim with its architectural esthetics and structural innovation, offering a new landmark in Beijing. Construction is underway on the Raffles City Ningbo development, a one-stop shopping, dining, business, and lifestyle destination covering some 157,800 sqm. In order to realize the project, a world-class design team is assembled, led by award-winning architects Spark, and including Meinhardt (MEP consultant), Arup (fire engineer), MVA (traffic consultant) and the Ningbo local design institute (LDI). Shanghai, long regarded as the Oriental Pearl, will add another jewel to its glittering crown when the new Shanghai International Cruise Terminal mixed-use development, designed by international architects Spark, is completed in May this year. The Cruise Terminal mixed-use development sits in the North Bund, offering spectacular views of Shanghai’s famous historical Bund to the south and the skyscrapers of Pudong on the opposite side of the Huangpu River. The first phase of the development was completed earlier in October 2009. May 3, 2018 in Architects.